Question of the Month: Why 4-Ohm Impedance? Q. 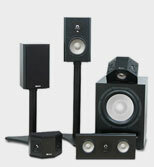 What are the advantages of 4-ohm speakers? Why did Axiom choose an impedance of 4 ohms instead of 8 ohms for the M80s? – T.M. A. Impedance is complicated and frequently misunderstood. 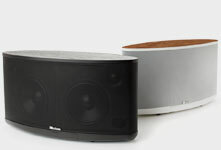 A speaker designer doesn’t “choose” speaker impedance. The overall impedance is dictated by the number of drivers and the crossovers. It is an electrical characteristic that reflects the total current draw of all the wire in the voice coil of each driver plus the two crossovers (for the M80). 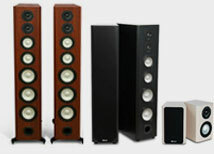 You will find most very large tower speakers like Axiom’s M80, which has six drivers, will typically have around 4 ohms impedance. 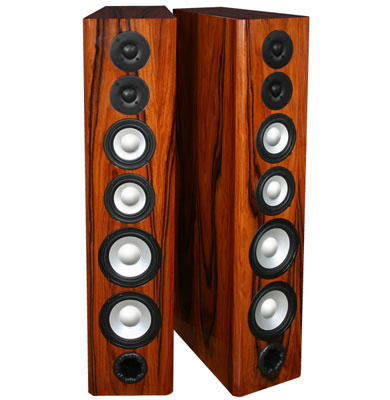 Other smaller speakers typically have 8-ohm impedances because they use only two drivers and one crossover. Impedance also varies with frequency across the entire audible spectrum, which is why rating speaker impedance involves looking at the overall impedance curve vs. frequency and choosing a kind of “average” (it’s called “nominal” impedance). As to advantages, a 4-ohm speaker presents less resistance to the flow of current from an amplifier compared to an 8-ohm speaker, so the more current that flows, the more power is pulled out of the amplifier. Most transistor amplifiers are able to deliver up to twice as much power into a 4-ohm speaker than into an 8-ohm one. But that is very dependent on how stable and cool-running the output stages of the amplifier are, because the output devices must be able to handle the larger flow of current and power without overheating. 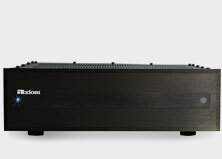 Many AV receivers contain current-limiting protection circuitry to limit the internal amplifier’s output current (power) so the output transistors won’t overheat or exceed their thermal limits.